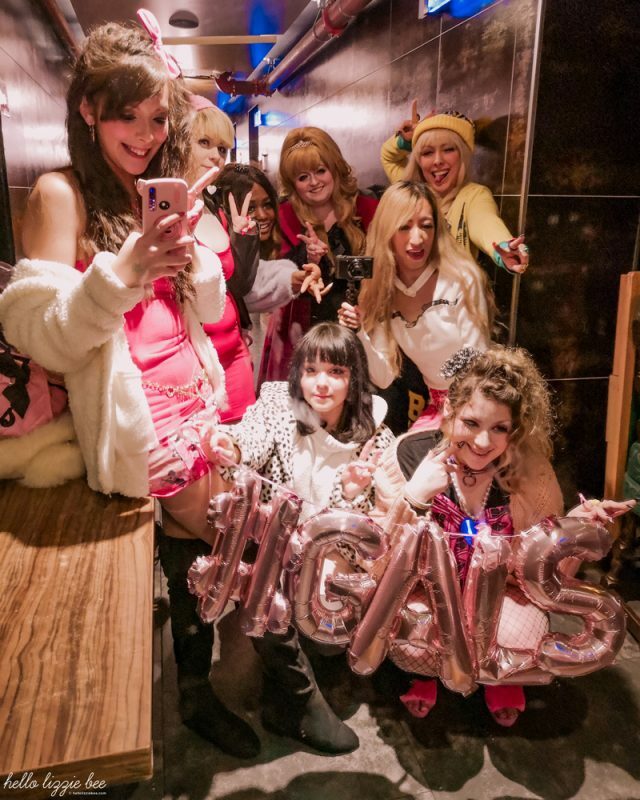 Galentine’s Day Gyaru Meet in Birmingham! 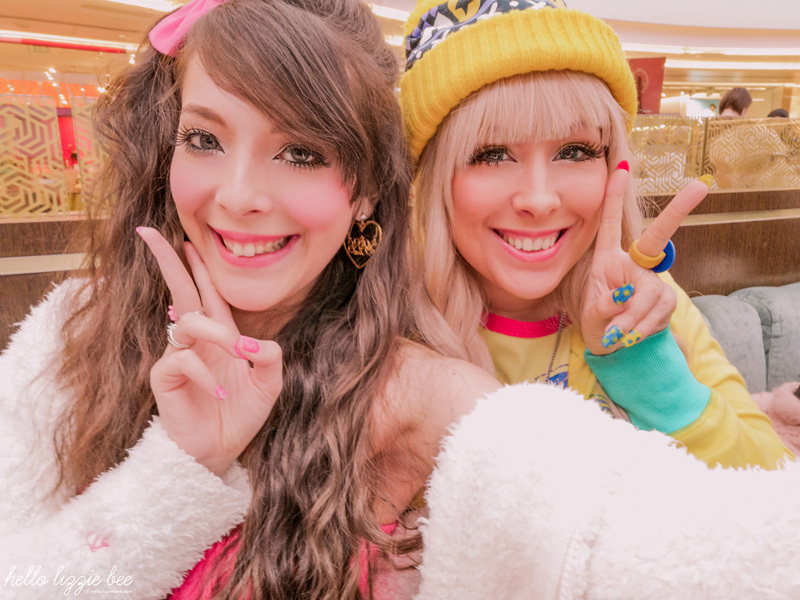 When I opened my eyes and felt that rush of inspiration for gyaru, I knew that it was going to be a good day. It was the day where my gyarusa, QueenE, were hosting a Galentine’s Day gyaru meet and my MA*RS outfit was hanging patiently on my wardrobe door. After a few hours I was all made up, head-to-toe in gal, sitting awkwardly in a jam-packed train to Birmingham. I was one of the first to arrive before Dani, one of my circle sisters (I love how that sounds – it’s as if we were a coven of magical gals) arrived, and we held fort at Caffe Concerto as we waited for the others to arrive. The lighting was so good that day so we took lots of selfies as the others slowly trickled. 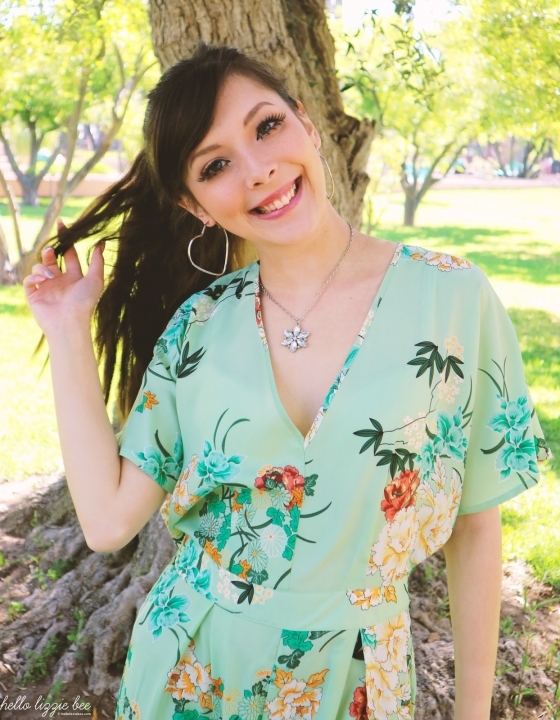 It had been ages since I took a good selfie worthy of instagram and this blog, and I loved how easy it was and the fact we didn’t have to schedule a blown-out photoshoot for it. It’s one of the things I hate about the blogging world, but that’s for another post. When Amber arrived (looking super cute in her amekaji attire, might I add) we headed off to the Bullring to indulge ourselves in the latest fashion at Forever21. I was actually disappointed in what they had there, and the sight of the never-ending queue really put me off. The same thing happened in Primark so after I grabbed some shampoo and conditioner from Lush we headed off to our favourite cafe in Chinatown. There were 8 of us in total but luckily the place was empty so we made the most of the space, putting several tables together before ordering an endless amount of bubble teas. My eyes caught sight of the bubble waffles they had on display, and my curiosity got the best of me. It was one of the best decisions I made that day – I was in love! 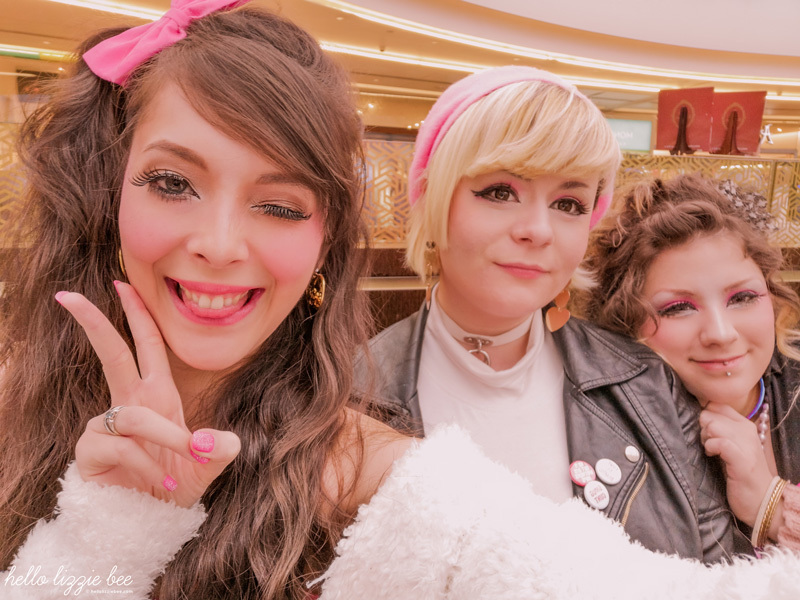 It wasn’t long until we finished and were heading over to do a few hours of karaoke whilst gorging on a Chinese buffet, and it was the best ending to a gyaru meet. I never had so much fun and it was so lovely to be surrounded by people who didn’t give a f*ck about what you looked like, as long as you made a bit of an effort and were there to have some fun! 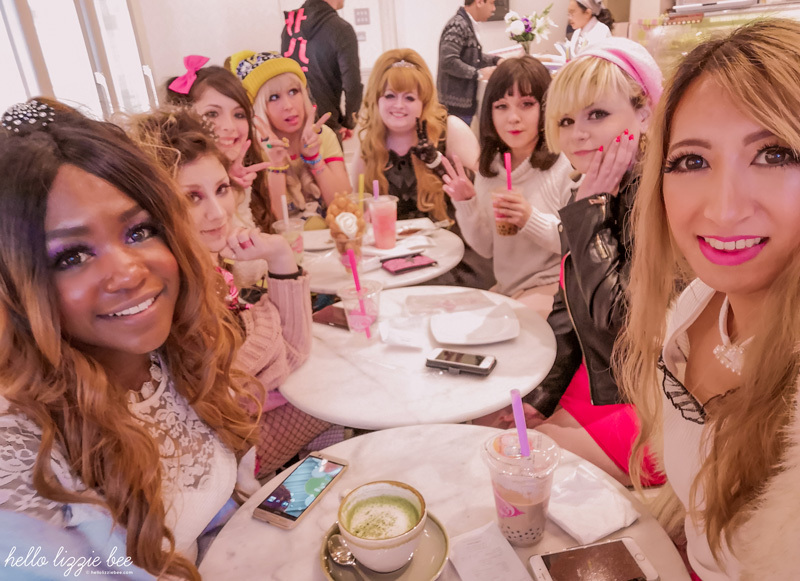 Honestly, going to gyaru meets is one of the best things in the whole of my gyaru life. 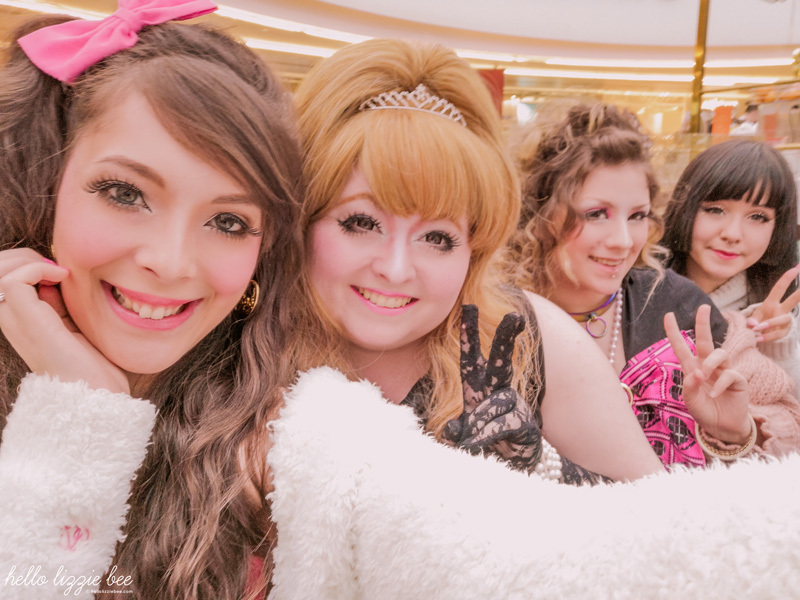 Nothing can replace the inspiration you feel when getting dressed up to meet those who are interested in the same jfashion who you are also quite close to, and it makes me so excited for the Gyaru Jubilee! 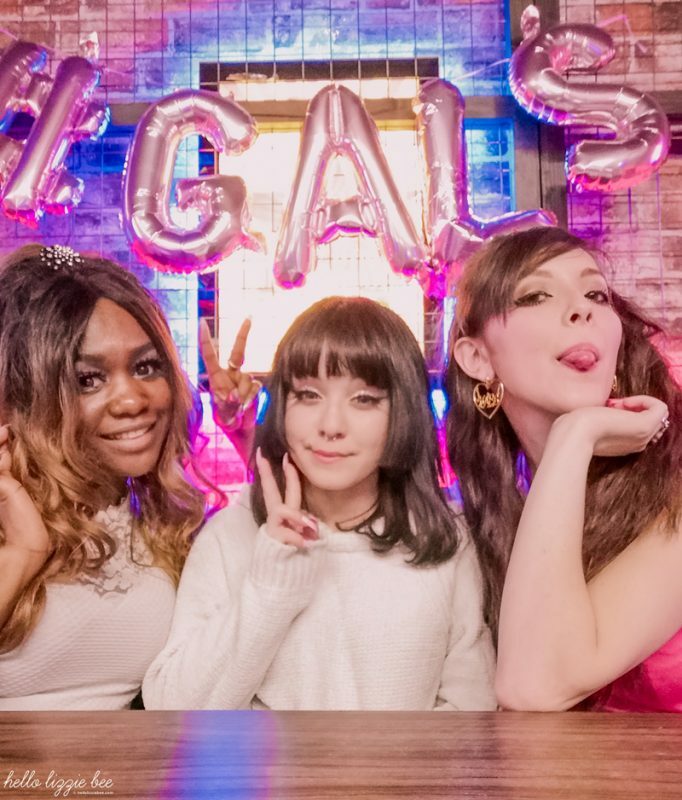 Galentine’s Day is all about the love for your fellow gal pals, and this gyaru meet was one of my favourites. What did you do for Galentine’s Day? 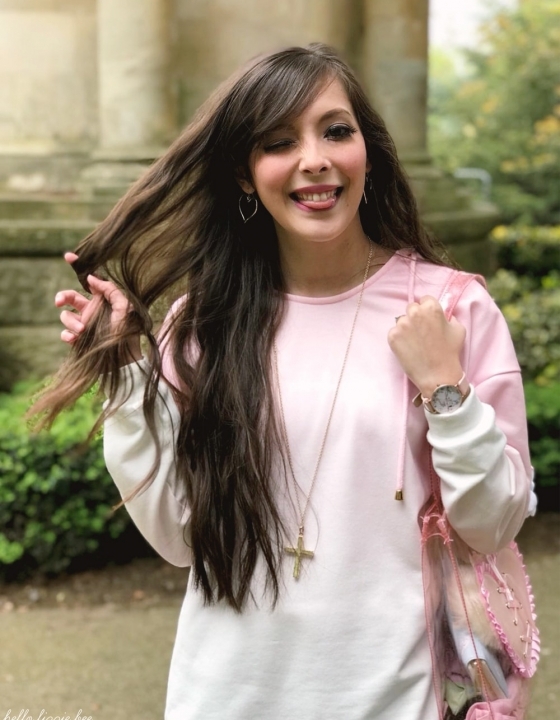 Did you have a gyaru meet? Me and My Gals – Christmas Gal Meet! Day Out with Amy & Lulu! New Year Who Dis? 2017 To-Do List! Oh my gosh I know right? I think I’m going to give up doing curls now and just do plaits like this. And I’m so happy you liked your ring! You all look amazing ❤️ and it sounds like the most perfect way to spend Galentines day! I would love to give this kind of style a go but I don’t have the confidence. Thank you so much Carly! You all look amazing! And it looks like you had a great time. I desperately wish I had a group of girl friends. Oh and I totally agree about the scheduling photo shoot things… I’d love to hear your thoughts on that! Thank you so much Jenny! I’m planning to write a post about it soon once I’ve got my mojo back as it’s been on my mind a lot lately. Omg I must go to that Karaoke place! You all look super cute! So glad you had a good time! It is honestly one of my favourite places to go to when I’m out in Brum! I really love seeing people come together over something they’re passionate about 🙂 It’s the absolutely best feeling to be surrounded by people who really do understand something you have a lot of love for! 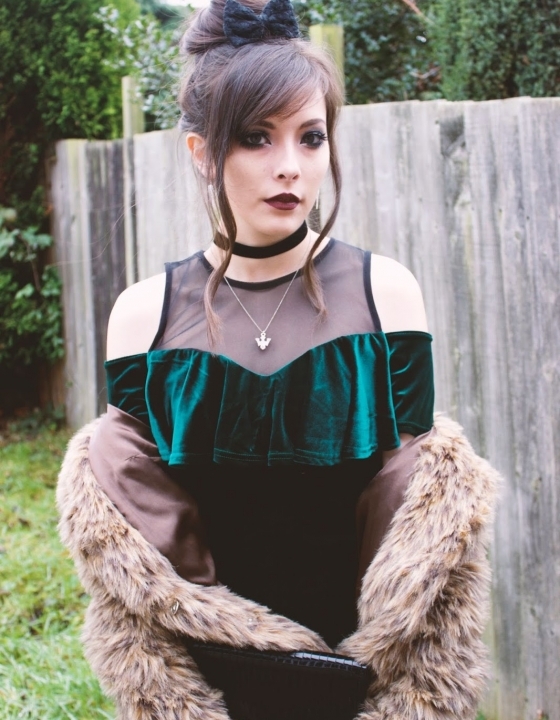 I’m a singer and have recently joined a choir where everyone is just there for the love of it and not for competition and it’s honestly amazing! You all look so adorable and I really applaud you for being so bold and brave with your fashion. It’s refreshing to see a bunch of women supporting each other in being different! So glad you had a great time. 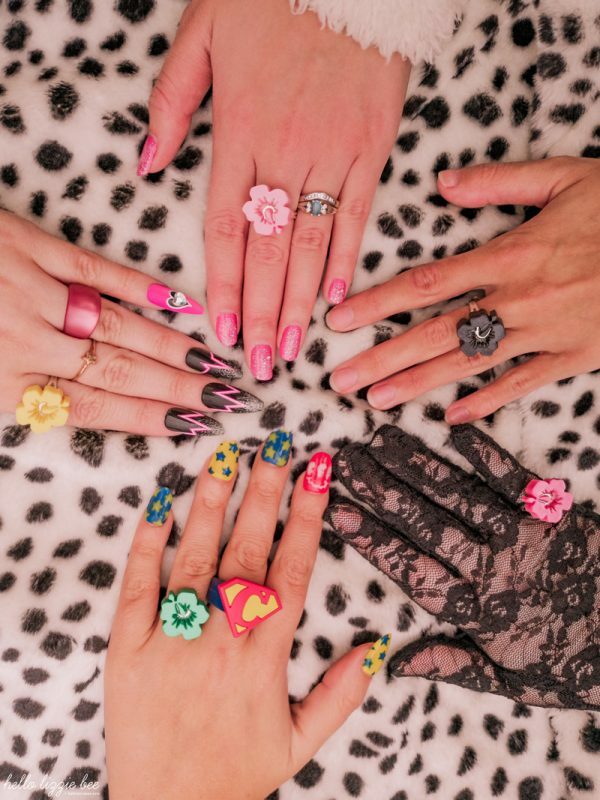 I spent Galentines Day doing some photo shooting with two of my favourite blogging friends! Yes I totally agree, which is why I’m so happy that we have these meets once every few months! Oh that’s so amazing that you’re in a choir and surrounded by those who are also enthusiastic about it. Oooh I’d love to do a Galentine’s Day shoot one day! Yes I totally agree with you! Plus it makes you feel even more inspired to do the things that you love. It looks like you had a wonderful time & you look amazing! Thank you so much! Gosh yes Caffe Chino is the absolute best, I love it there! You lot always look like you have so much fun! The meets look crazy! Ahhhh so much fun and everyone looks amazing! I really need to try proper amekaji coords! Yassss omg I would love to see you in amekaji!